Bad taste... or... worst taste? 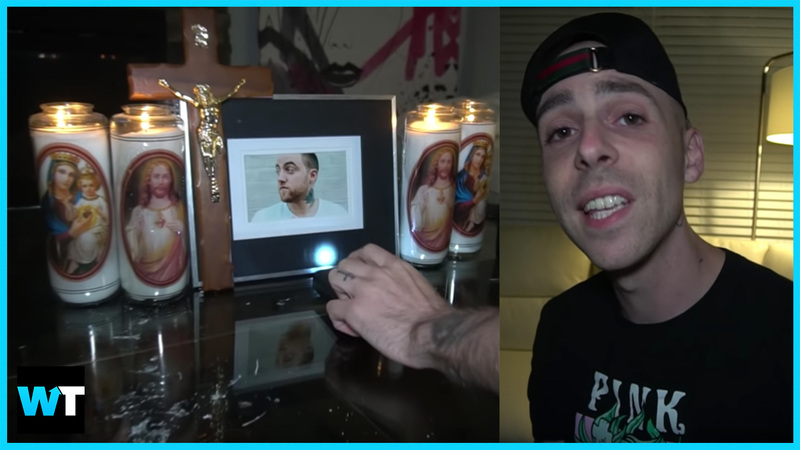 YouTubers have been putting Jay Station on blast over a month after he used Mac Miller’s death as the focal point for a video. Mac Miller tragically died on September 7, shocking the music world. 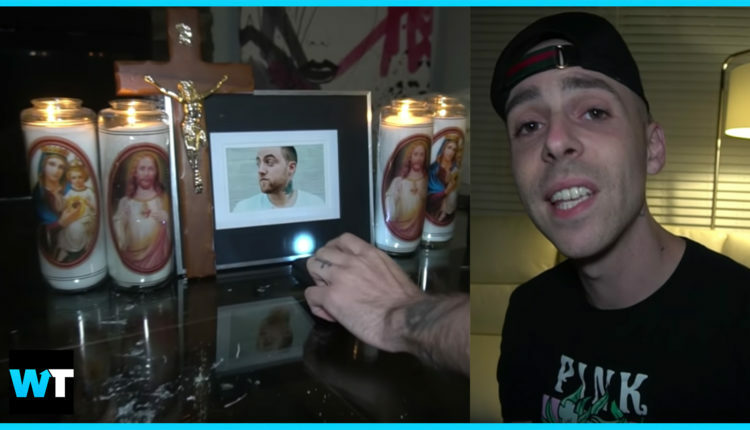 Only a day later, YouTuber JayStation released a video called “(RIP) MAC MILLER SPIRIT BOX CHALLENGE AT 3AM! !” where he claims to communicate with the rapper using an electronic device. JayStation claims to be using a device that can pick up EVP, or “Electronic Voice Phenomena”. It’s generally regarded as a bogus pseudoscience, and if you listen to these so-called “messages” JayStation is picking up, it’s mostly white noise mixed in with voices coming in on a radio frequency. So, basically, you hear what you want to hear. But JayStation didn’t just turn on a white noise machine and interpret vague messages. He also faked something pretty disturbing with Ariana Grande to boost interest in his own video. So, keep in mind, this was the day after Mac Miller’s death, and JayStation was pretending to have some sort of paranormal experience with Mac Miller and Ariana Grande, who was still getting dramatically bullied online by people blaming her for his death. In the days that followed, several other YouTubers spoke out against JayStation. Including Adam22 and Keemstar. Now, Keemstar did bring up how his video is also monetized and thus indirectly profiting off Mac Miller’s death, so he’s going to donate any money he makes from the video. And we’re probably not making much (if any) money from this video, but if remains monetized and ads play before it, we’ll be donating that money to NAMI, the National Alliance on Mental Illness. Now, JayStation has long made paranormal experimentation a big part of his channel, and even though this stuff is clearly fake, it still seems to be all in good fun. But doing a “3 AM Challenge” like this right after a beloved musicians death is in really bad taste. He did a similar video with a Ouija Board after the death of XXXTentacion in June. But he said he understood why some people got upset. But he’s probably right that his fans don’t care, and his videos only get criticized when non-fans point it out. The Mac Miller video has a pretty bad like-to-dislike ratio, but another video about XXXTentacion that slipped under the radar fared much better. And even all those people who disliked the video still watched an ad before it played. What do you think about JayStation doing a Mac Miller video the day after his death? Let us know in the comments or on Twitter at @WhatsTrending. VIDEO: Melania Trump says she’s the “Most Bullied Person In The World”?